Background: In the developing world, child psychiatric disorders are common but child mental health professionals are scarce. A cheap and effective method for detecting child psychiatric problems would be useful. The present study examined the potential suitability of the Strengths and Difficulties Questionnaire (SDQ) for this role. Methods: SDQs were administered to the parents and teachers of 261 Bangladeshi 4–16 year olds: 99 drawn from a psychiatric clinic and 162 drawn from the community. Self-report SDQs were completed by 11–16 year olds. Children from the clinic sample were assigned psychiatric diagnoses blind to their SDQ scores. Results: SDQ scores distinguished well between community and clinic samples, and also between children with different psychiatric diagnoses in the clinic sample. 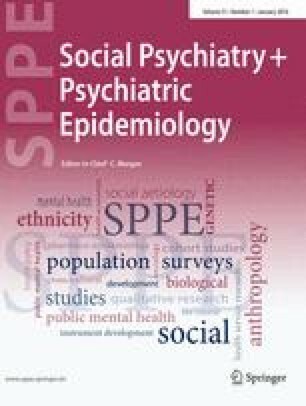 A simple algorithm based on SDQ scores was used to predict whether children had hyperkinesis, conduct disorders, emotional disorders or any psychiatric disorder – rates of predicted disorder varied markedly between clinic and community samples. Conclusions: Predictions based on multi-informant SDQs potentially provide a cheap and easy method for detecting children in the developing world with significant mental health problems. The potential effectiveness of any such screening programme should be evaluated on a broad range of children, using both international and culture-specific assessments.